There are two components to the work I do as a pediatric speech-language pathologist. First, I work with children who have speech that is difficult to understand. These kids need support with the production of individual speech sounds. 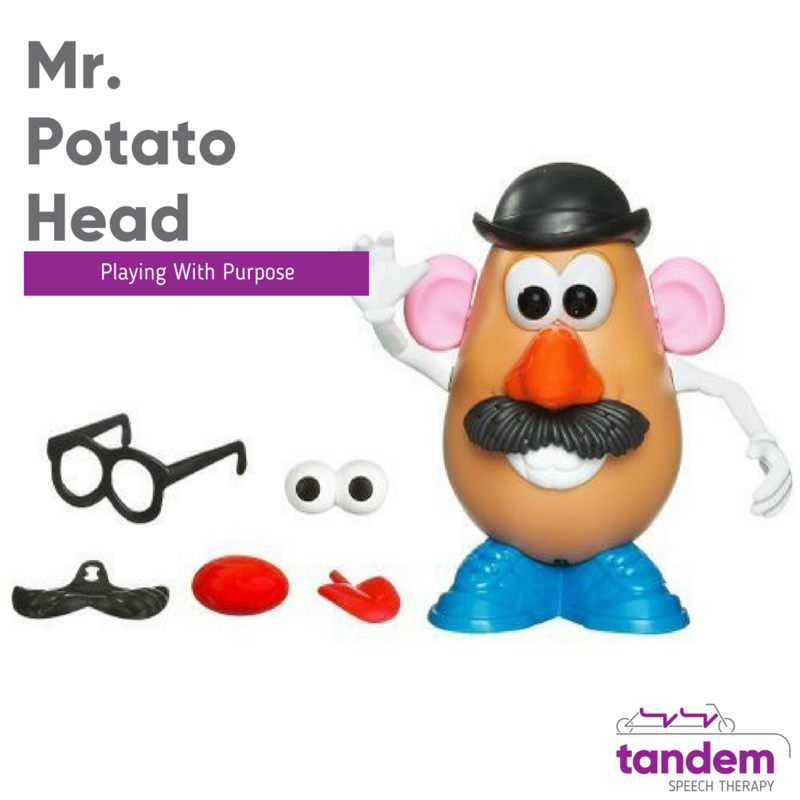 We work on connecting and coordinating all of their speech sounds together so that they are understood by the people they interact with. Second, I work with children who need early childhood intervention with speech and language developmental milestones. Early childhood is an incredible time for brain development. In fact, learning and development are most rapid during a child’s early years. And these early years set up how your child will learn and develop later in life. One of the hallmark components of ECI is that we provide the services in your home–in your child’s natural environment with the people and toys, they interact with the most. And the benefit is that you, as a parent or caregiver, get to learn along with your child so that you can continue to provide support and intervention when the therapist has left your house. We know from a slew of research that when we provide services to children early, they can catch up to meet their developmental milestones AND be successful when they enter school. Every state offers a set of targeted services to assist young children who have developmental delays or specific health conditions and diagnoses. These services are coordinated on a county level or can also be provided privately by a speech-language pathologist like myself. Many types of specialists provide ECI services. 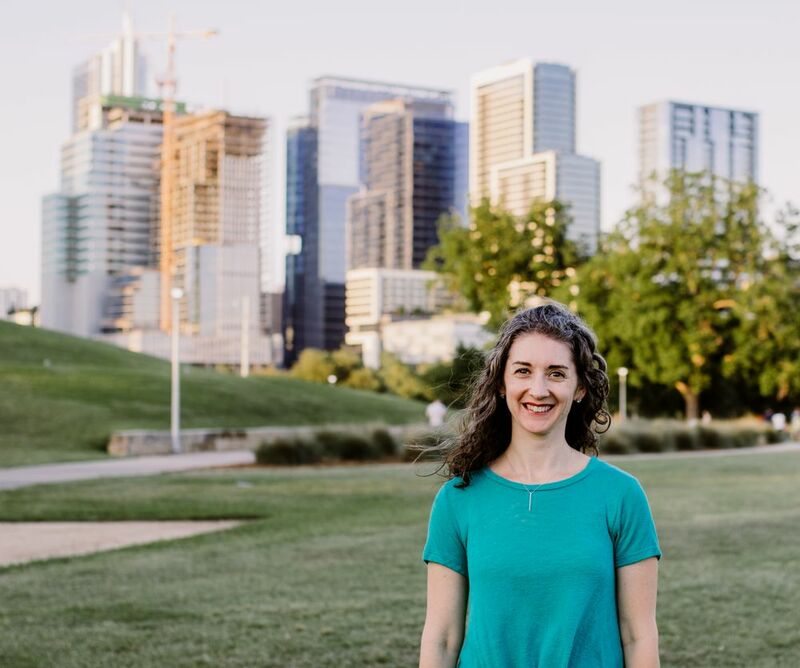 Depending on your child’s needs, they may meet with an occupational therapist, physical therapist, SLP, nurse, psychologist, nutritionist, developmental therapist, or social worker. Is my child eligible for early childhood intervention services? 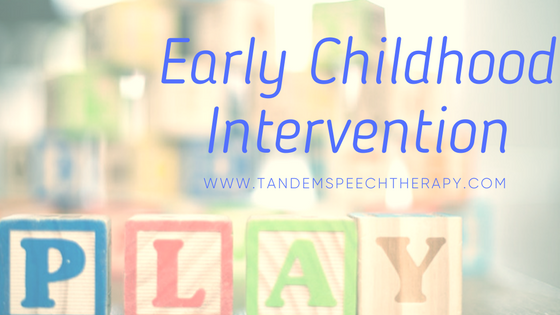 How does Tandem Speech Therapy provide ECI? I provide high-quality, early childhood services based on my background and education from the Hanen Centre. Their “It Takes Two to Talk” Program is designed specifically for parents of young children who have been identified as having a language delay. The program teaches professionals and parents how to become a child’s most important language teacher. While there is a learning curve, the best part is that becoming your child’s language teacher is not complicated or cumbersome. 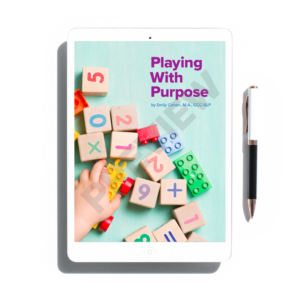 Some of my favorite toys and activities to use for ECI are ones I have written about in my Playing With Purpose blog series. 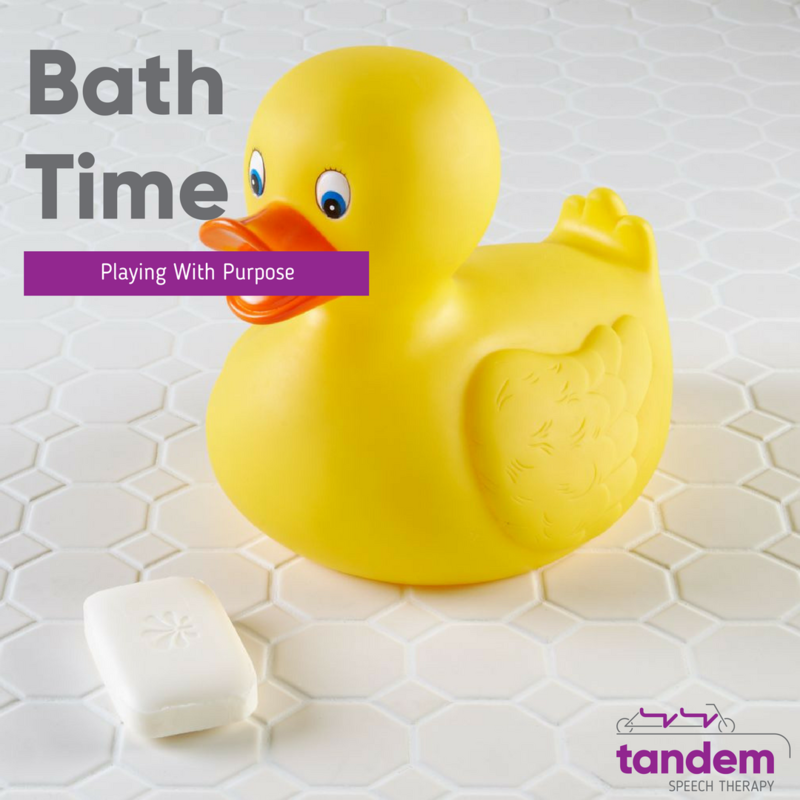 This series explores how to convert play and everyday routines into activities that are both fun and beneficial for children. 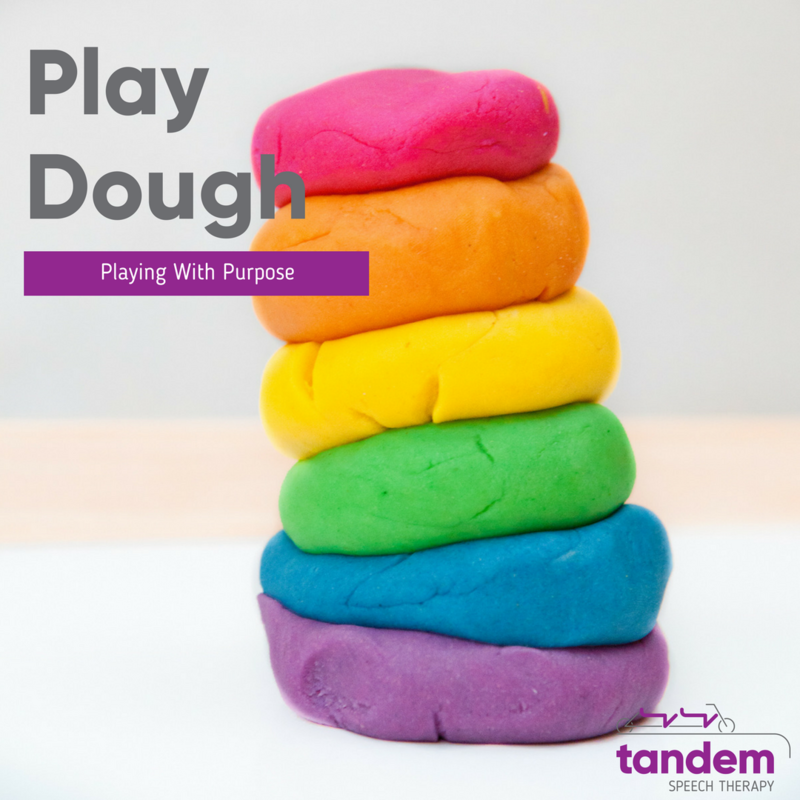 The time you play with your child can create moments of learning for them and moments of connection together. 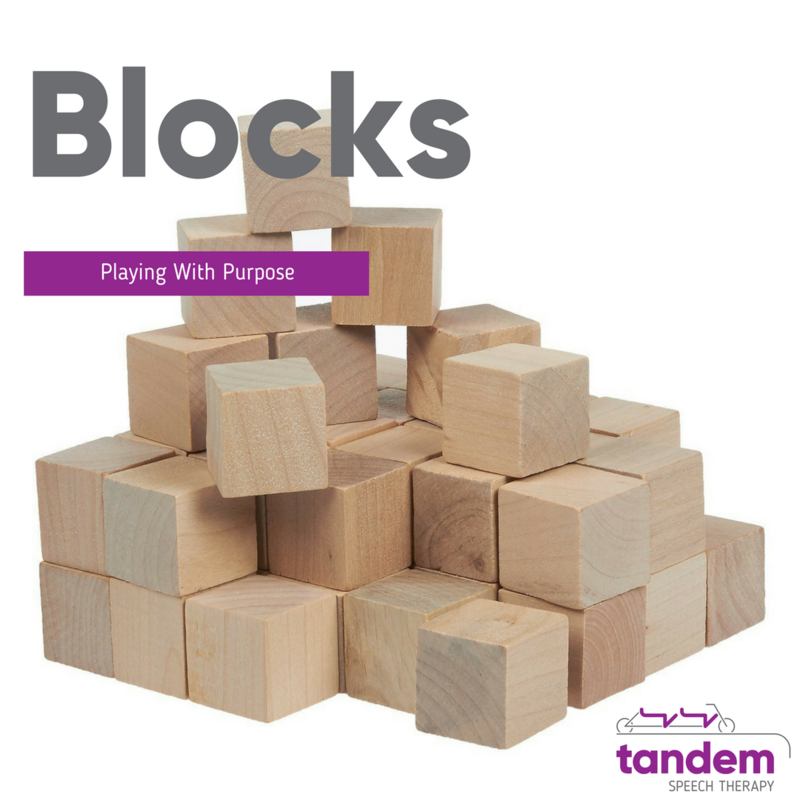 The more you connect with your child, on their level through play, the more opportunities you have to grow, stimulate, and boost their language skills. Are you ready for your child to receive early childhood intervention?